I’ve never partaken in the worldwind that is Fashion Month, but I do appreciate it greatly. 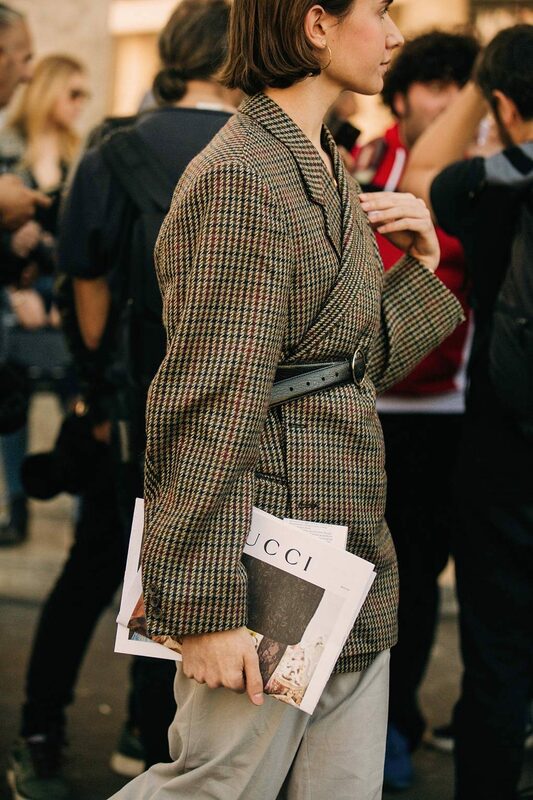 I love seeing the new collections and discovering what’s in the pipeline for us in seasons to come, but a particular upshot is the street style we’re treated to. 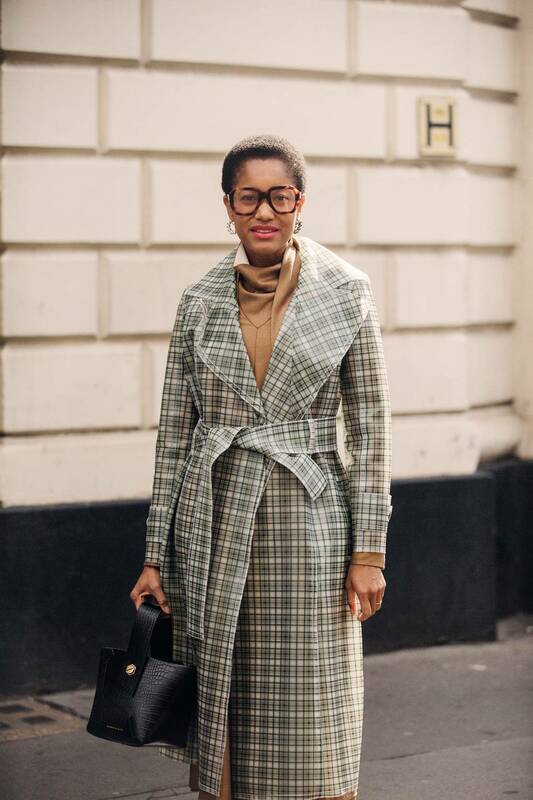 The people, the clothes, the style, it’s all captured by some fantastic photographers who brave the wind and rain to see the best dressed arrive and leave the various shows. Here are some of my personal favourite photos from the last few weeks. I’m absolutely loving the return of the Dior saddle bags, I saw a light blue one and was in love, but this classic black with gold details it’s a real winner too! It’s all about the suit these days, every time I think I’ve decided on the style and cut I want…I see a different one which is equally gorgeous. 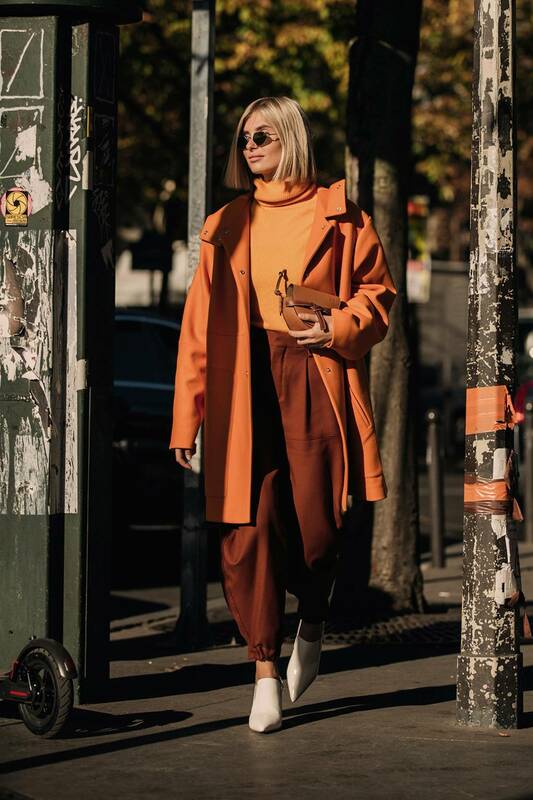 The colour and texture of this duo are gorgeous and with that brown handle top croc effect bag, I mean – get in my wardrobe immediately please and thank you! 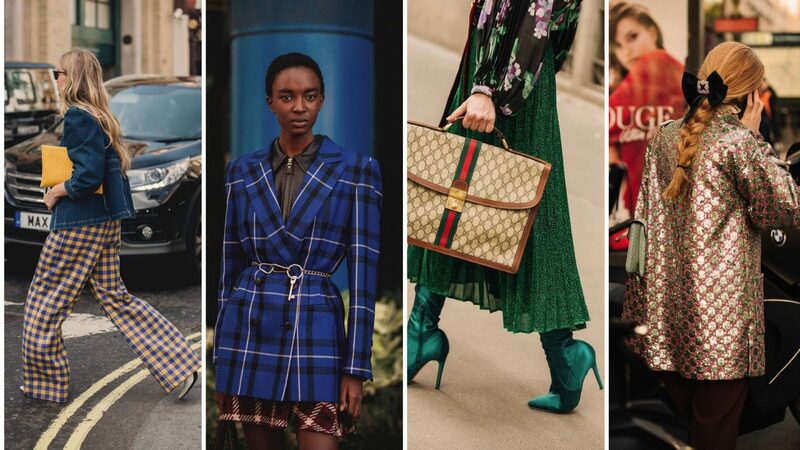 Plaid is everywhere, from Couture Designer blazers to Boohoo’s Clueless throwback on ASOS (when Cher rocked that plaid yellow skirt, remember?). It’s a current go to for street stylers and it has never been easier to hop aboard a trend if you so wish! 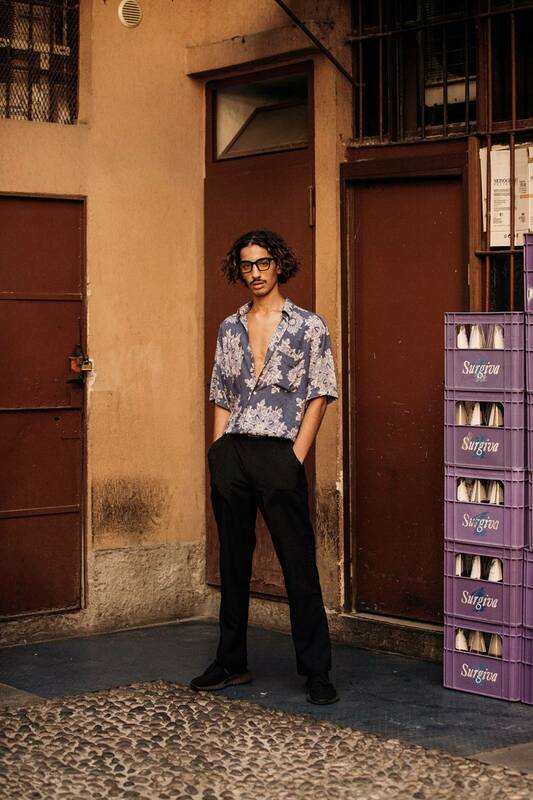 Floral shirts are everywhere, but most especially for men’s fashion, so if you’re looking to up your stylin’ game or your significant other has a birthday coming up, embrace the florals – but try to avoid going full blown Hawaii’s Aloha shirt!! GREEEEEN!! How beautiful is this suit – again with the suits I know – but bare with because this is a great example of velvet done right. 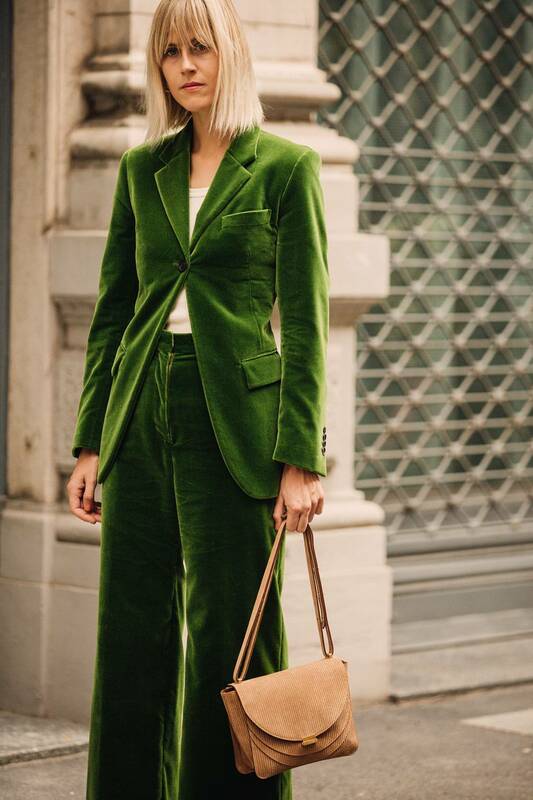 It’s easy to misstep with velvet, but styled in this way, it becomes a show stopping piece and coupled with a plain white tee and a neutral handbag means it doesn’t become too much. This kind of thing is something I personally struggle with – mixing colour hues – If it isn’t an exact match, I won’t tend to wear it together, but then sometimes I’m like “ughhh….bit too matchy match”, so if you’ve got the mixed hues styling down, you rock it – it’s not easy to do, but like this woman has clearly demonstrated – when it works it WORKS!! All photos have been credited to the photographer responsible and all photos link to the original site where the content was discovered. Next Post Have You Been To Token? I liked the green suit and black Dior saddlebag. Wish I could afford it! Aren’t they fab?! I just need to get a piece or two into my wardrobe and I’ll be sorted for Autumn!! I do too Priya! Such gorgeous burnt orange tones – perfect for Autumn!! Such great inspiration! Thanks for sharing!